I cannot deny it any longer – I’m in love with Chromebooks. Chromebooks have transformed my teaching. All those times in the last 25 years when I used to say, “Well, that would be easy if I had a class set of computers” has turned into my reality. Chromebooks have become a wonderful tool for teachers in the 21st century. A recent article in Education World tells us that “For the first time, Chromebook sales surpassed 51% in the K-12 market nationwide in the third quarter, according to a recent report by market researcher Futuresource Consulting,” according to USA Today. Now, why doesn’t that surprise me? 1. Student access to information. Every Monday my AVID students use a Chromebook to log into their School Loop account. They check their letter grades, view their grade trend and record the number of ‘0’ marks they have. Just like adults monitor their checkbook, having easy access to their performance information allows my students to analyze their success and plan the week. When my English students ask about missing work, or what they need to make up from an absence, they can take control by using a Chromebook. My students routinely use Chromebooks to turn in digital assignments to their School Loop account, too. With Chromebooks being Google based, students have the easy capability to collaborate – with each other and with their teachers. We regularly utilize Google Drive for assignments, including presentations with Google Slides, collecting data and assessing students with Google Forms, editing with Google Translate, and analyzing data with Google Sheets. When absent, I can share a document with a student and chat through the comments feature. 3. Easy ability to create projects and study tools. Before, I was lucky to get my students into a computer lab with desktops chained to study carrels. Now with Chromebooks, my students routinely use technology as their first ‘go-to’ point for projects and study tools. They love creating study flashcards and playing review games using Quizlet. When we wrote narratives, after drafting using Google Docs, students used their Chromebooks to create professional looking books on Storybird.com. To introduce the novel The Pearl, my students used Chromebooks to create Prezis about different research topics. Chromebooks make activities like web quests easy and fun, not to mention the ease of delivering lessons through sites like TedEd and the Khan Academy. Years ago I decided not to be a walking answering device. I was tired of spelling words and being asked to provide answers to factual questions. With Chromebooks, my students have learned not to even ask (“She won’t tell you, you know” they are fond of saying). Instead, they’re learning how to figure out the answers to their questions, how to be independent thinkers and learners, how to analyze information and evaluate sources. And best of all? They’re satisfying their curiosity and developing skills to take with them into all aspects of their lives. And best of all? 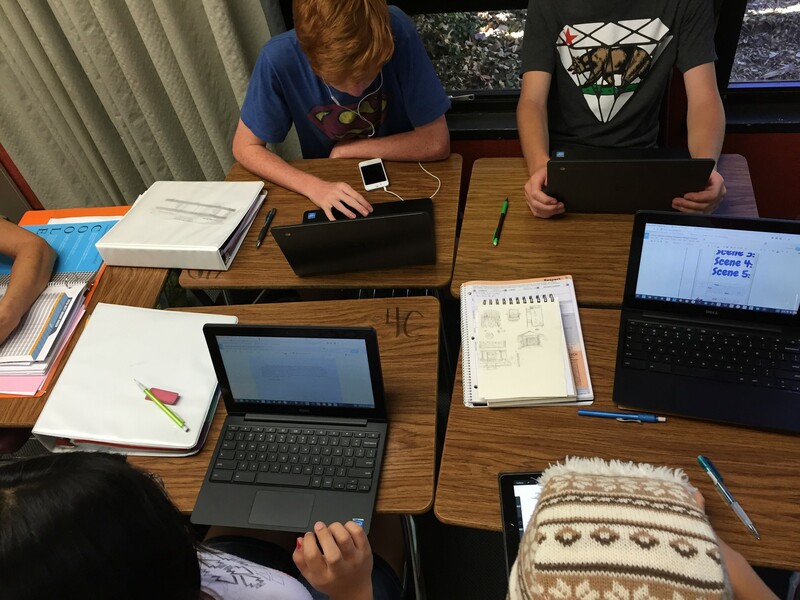 With increased use of Chromebooks, my students not only are feeling like school is fun and time flies in the classroom, but they are also satisfying their curiosity and developing skills to take with them into all aspects of their lives. That’s Chromebooks for the win! I’d love to hear your favorite ways for using Chromebooks in the classroom – drop me a comment and let me know! I wrote this article first for The Educator’s Room. At my school, eight teachers share a bank of 40 Chromebooks. Thank you for the reminder to get those Chromebooks scheduled for my classes more often. Arlis, I do hope you have a chance to experiment! I know you’ll come up with creative ways to use them! I love Chromebooks as well. It’s very interesting how technology affects our everyday life, including education. Technology certainly has been life changing! Thanks so much for commenting.